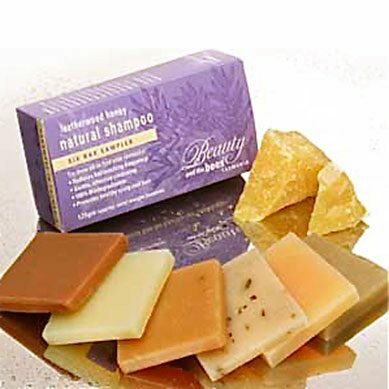 Dump the plastic packaging – save money – get healthy hair with our Natural Shampoo Sampler pack! Want to try all our bars but not sure what to choose? well, why not have them all? Everyone – especially perfect for people with dry scalp, dandruff, eczema or dry scalp, users tell us that their colour ( chemical or natural) is enriched and enhanced, and that they wash their hair far less.Great for those on grey water recycling systems as the shampoo bar is a natural soap so 100% biodegradeable and safe. Makes a great veggie wash too! A selection of 6 mini shampoo bars- approx 20 gms each handcut. Eggcellent Egg & Lemon Shampoo Bar: for shine, body and smooth manageable hair. Grass Roots Shampoo Bar: may assist in the growth of your hair, and increase your shine, but most importantly, it will assist with keeping your scalp healthy ! Henna Senna Conditioning Shampoo Bar: Conditioning texturising shampoo bar, adds body! Tasmanian Goat’s Milk Shampoo Bar: for those with dry sensitive scalp, dry hair, and those with eczema, psoriasis. Can be used on body as well as hair. Super rich & creamy, and contains proteins, minerals, amino acids, lipids, and Vitamin A to nourish the hair and skin. 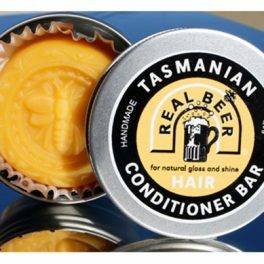 Tasmanian Beer Shampoo Bar: Traditional European secret for natural gloss and shine. Udderly Luscious Yoghurt Bar, Unscented: Everyone! Especially those with sensitive skin, eczema and psoriasis. This may be our best multipurpose bar ever: can be used as a facial/body bar but also to shampoo hair. Udderly Luscious Yoghurt Bar, Lemon: Everyone! Especially those with sensitive skin, eczema and psoriasis. This may be our best multipurpose bar ever: can be used as a facial/body bar but also to shampoo hair. Tasmanian Wild Leaves Shampoo Bar: antiseptic/antifungal –Australia and Tasmania’s legendary “bush medicine” essential oils (eucalyptus, kunzea tea trea) and India’s wonder tree, insecticidal Neem, soothe and calm irritated scalp, and discourages insects such as nits. Traditionally handmade to a gentle centuries-old formula these chemical-free, solid shampoo bars, using the finest natural conditioning plant oils such as raw castor, olive and coconut oils with Leatherwood beeswax for gloss – to clean hair thoroughly and gently, without stripping the hair’s natural oils so necessary for moisture and condition. The colour of the bar directly reflects the essential oils, herbs, spices, flowers, fruits clays, honey and botanicals used to make it. Totally free of harsh synthetic detergents ( Sodium Laureth Sulphate) that dries your hair and scalp and pollutes you and our waterways. See individual shampoo bar variety page for full ingredient information. Discover everything you need to know about Beauty and the Bees Shampoo Bars. Please visit our FAQ ’s section for product packaging info. Shipping is calculated based on the total weight of your order and cannot be determined until you select your items. We are on an island-Tasmania. The Bass Strait is the most expensive piece of water over which to ship anything, anywhere in the world. We are held hostage in terms of what Australia Post and the courier companies charge us ( which is what we charge you: no additions) and as with any small artisan business in Australia, do not have the volume /muscle to hustle them for better rates-in any case they just don’t care, raising their rates with impunity as there is no competition: 23 million people in Australia is not a big market and so they make the consumer pay, and pay big. This is something over which we have no control, and we ask you to think about that when ordering and understand: we have attempted to offer low weight samples in most ranges to try and beat this issue. Courier – We choose a courier which is fast, cost effective and trackable online, since we want our fresh products to reach you quickly, safely and in perfect condition. This option will have your package delivered in 1-2 days for most capital cities and metro areas. Aus Post eParcel – this option has been provided as a lower shipping cost option and parcels can take 5-7+ business days for delivery (or longer to remote or regional areas, WA & NT). NOTE: we don’t recommend selecting eParcel for our Creams. HOW LONG WILL IT TAKE MY ORDER TO BE SHIPPED? You will receive an email notification to let you know your package is on its way. The email will include a link to the courier or Aus Post eParcel tracking information. The tracking number is really a Delivery Confirmation number that allows you to check the delivery status online. Once your order has been shipped it should take 1 to 2 business days for delivery for Courier and 7+ days for Aus Post eParcel. Courier (click here to visit Star Track). Aus Post eParcel: (click here to visit Aus Post). IMPORTANT INFORMATION: if you experience a delay in delivery, please attempt to track your package online in the first instance. Packages rarely go missing, however in the unlikely event that you feel your order has, please contact us and we will investigate. Your shipping options and costs will automatically appear on the cart page and as you checkout. Please choose your shipping option carefully. If choosing the option PERMISSION TO LEAVE, Beauty and the Bees can accept no further responsibility for the package. Additionally, if the courier deems the premises unsafe to leave the parcel, they may choose not to do so. You can check the delivery status of your order by entering the tracking number which is emailed to you on completion of your order. Although we check and double check orders and addresses prior to shipping, we are human and mistakes can happen. If an item is missing please let us know. We can ship it out to you, issue a refund, or include it in your next order. Your shipping options will automatically appear at checkout. Please choose one of the following options carefully. Option 1 International Economy Air – please be aware this is a non- trackable freight option. Orders take approximately 6 days for delivery depending on your country. This option is only for parcels weighing 2kg or less. Option 2 International Express – this option includes tracking of your item. Orders take approximately 4 days for delivery depending on your country. We suggest that if you have not received your order in this time frame you contact your local delivery centre. 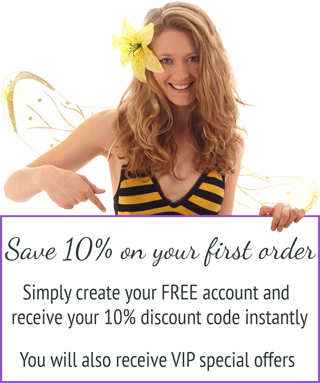 Beauty and the Bees will not accept responsibility for orders damaged in transit or not received by using the Economy Air freight option. Please do not hesitate to email us at info@beebeauty.com if you have any further questions about our process. You will receive an email notification to let you know your package is on its way. The note will include your consignment number, and depending on the option you have chosen you may be able to track your delivery online. If you have chosen a non-trackable option, there is no information available. International shipping quotes do not include any duties, taxes or other charges that may be applied by your countries government. Any duties and taxes for international shipments are at the cost of the customer. Every country has different rules and regulations when receiving international packages. We follow the general guidelines set by the Australian Postal Service for international shipping that are not specific for any given country. Customs regulations are often different for small packages versus large packages. Please be sure that you are aware of any specific customs regulations for your country. We will do everything we can to help you receive your package, but we cannot be responsible for packages that are detained in customs. Although we check and double check orders prior to shipping, we are human and mistakes can happen. Due to the rising cost of international postage, we can no longer ship items that are missing from your international order. If you discover a missing item, please let us know as soon as possible. We will gladly issue a refund for the missing item(s). 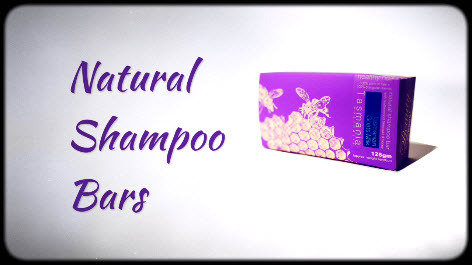 7 reviews for Natural SHAMPOO Six Pack Sampler. For all your cleaning needs (used for hair and body). I love these shampoo bars. They lather up beautifully and clean well. I’m still working my way through the samples, so I’m still trying to decide my favourite. 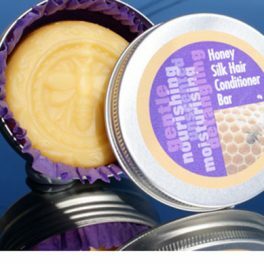 I use the shampoo bar in conjunction with the Honey Silk Hair Conditioner bar to get great results, as I find my hair gets too frizzy with shampoo bars alone. Thanks to these products, I am greatly reducing my plastic waste. Not a fan. Have tried two different shampoos so far and they both do the same thing where my hair feels stripped (like when you use soap) but it’s not really fluffy or as clean as when I use a natural shampoo where my hair doesn’t feel stripped. I find that the middle part of my hair, even though it’s not oily before I wash my hair ends up looking oily after I use these bars? I’ve even tried not conditioning whatsoever and it stills ends up oilier than before I washed my hair. Definitely disappointed because I was very excited to try shampoo bars. 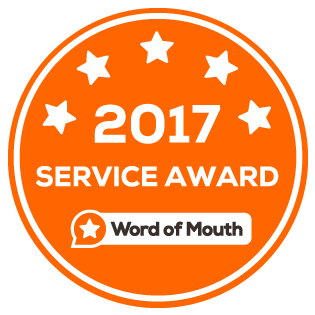 Hi Tamara, sorry to hear that: as you can see most people’s experience is positive.We have developed a whole section which is dedicated to helping you achieve success when using our natural haircare products. Please take a moment to read through the information on our Troubleshooting Your Haircare Questions page (https://www.beebeauty.com.au/faq/troubleshooting-haircare-questions/). We are confident that you will find the answers you are looking for in one of our commonly asked questions. 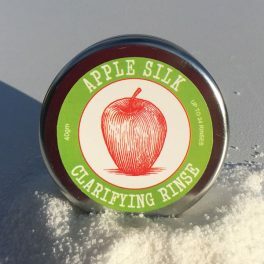 However sometimes problems may be due to a lack of understanding about what technique to use with a new natural product. For more information please see our instructional videos and step by step guides on our Using Our Healthy Haircare Products page (https://www.beebeauty.com.au/faq/successful-haircare/). We really hope that you will give our products another go now that you have had a chance to find a solution. Remember, the adjustment phase does take time and you will need to experiment with products and routines to achieve the best result, but it is really worth it in the end, especially knowing you are going to have a healthier scalp and naturally beautiful hair. absolutely luv the bamboo charcoal shampoo can’t wait to try others! My dry scaly scalp is responding and I’m sure soon to be no more. Thank you so much for your products. Love the sample pack as it allowed different members of my family to pick a bar to try that would suit their hair type. It was great to try a few and discover which bar works best on my hair. 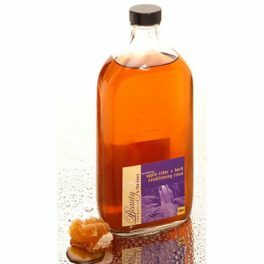 All of them were great but my favourite was the beer shampoo which brought out the natural highlights in my hair and I found my hair needed less frequent washes as it did not get greasy. My husband and I loved this sample pack, it is hard to choose a favourite as they are all good. My hubby loves the beer one for sure! Great bargain! The first beauty & the bees product I have tried – not disappointed! A great way to try the shampoo collection & discover which is most suitable for your hair type. I am a Beauty and the Bees Shampoo convert! My scalp is no longer dry and itchy and I would highly recommend that anyone with these issues gets hold of a sampler pack and give them a go, you won’t be disappointed………my favourite so far is the Tasmanian Bush Leaves bar. I love the Apple Cider and Herb Vinegar rinse too. I was also VERY impressed with the speedy delivery. Thank you Beauty and the Bees!